How are donated bodies used to train medical students? At Cambridge University, anatomy is principally taught through practical dissection. Students are provided with instructions in a manual at the start of the year and allocated to a donor. There are six to eight students per donor, and we have around 40 tables in our dissection room which are shared between 280 to 290 students per year group. We refer to the kind people who have donated their bodies as donors, or subjects, and try to avoid the word “cadaver” because we want to be as respectful as possible and recognize the generosity they have shown. The medical students have two two-hourly sessions per week. Each session starts with a demonstration on a donor, and the students then dissect a specific region of the body. They are supervised by demonstrators, including surgical trainees, practicing consultants or retired surgeons, as well as radiologists and pathologists. The aim is that by the end of the academic year, students will have observed every system in the body. But, donors are not just used to train medical students. They are also used in research projects to improve surgical procedures and knowledge of clinically relevant anatomical variations, for example. These projects are carried out by clinical students, post-graduates or junior doctors. What happens to bodies that are donated to medical schools? We try our best to accept donations if at all possible. If a person has specified that they would like to be a donor when they die, their families, hospital bereavement office or the funeral home will ring us to let us know. The first and most important thing we need is consent. Then, we consult the medical team who looked after the donor to check that we are able to accept them. If they are suitable, our designated funeral director will collect them and deliver them to our facility, where embalming takes place. We use a robust vascular embalming process which allows the donor to be worked on throughout the whole academic year. This takes a few months, as the tissues have to be adequately fixed by the embalming fluid before dissection can occur. That’s why, for the coming academic year which starts in October 2018, we can only use donors who have been received into our facility and embalmed before July. So, a donor who comes to us from July onwards will not be used for teaching until the following academic year, from October 2019. There has recently been a rise in the number of donations, why do you think this is? I think there are a couple of reasons why donations have increased. The first is because of a change in attitude. People feel that donation is a good way to give back to the NHS, or to help medical research. I think that dissection is less of a taboo subject, and people are more informed. 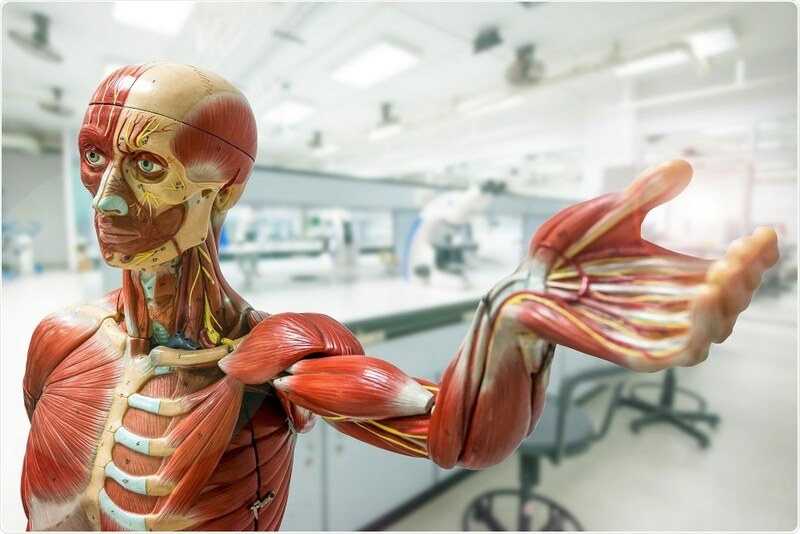 In the past, dissection was seen as a form of punishment for executed criminals, but thankfully anatomical dissection is now seen as something beneficial, rather than something awful that is done to a body. This positive attitude is often, fortunately, passed on through the generations. Our donors often say: “My parents did this. My dad came to you, and I'd like to consent too." The second is that patients are more aware of the impact that donating their bodies to anatomy has on medical training. Read the research paper in Arthroscopy. For example, one of our clinical students, who was working with a surgical trainee and orthopaedic surgeon, recently published a study which involved the use of our donors to minimize the risk of injury to the lateral cutaneous nerve of the thigh during hip arthroscopy (a type of keyhole surgery). This nerve supplies sensation to the skin, and can be injured during placement of the portals during hip arthroscopy, resulting in postoperative pain in this region. Meticulous dissection of our donors, under close supervision by our staff, was used to map out the variable positions of the nerve and determine a “safe-zone” for surgeons when siting the portals. I think that increasing awareness of this type of study may have had an effect on donation, as my team and I have presented this kind of information in public lectures during events such as the annual Science Festival that is held in Cambridge. 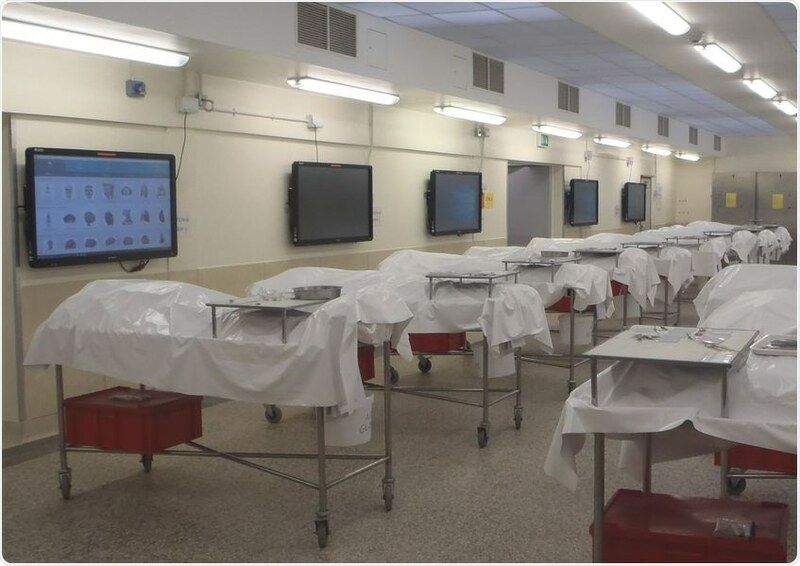 Why is dissection still an important part of training with all the new technology that is available? 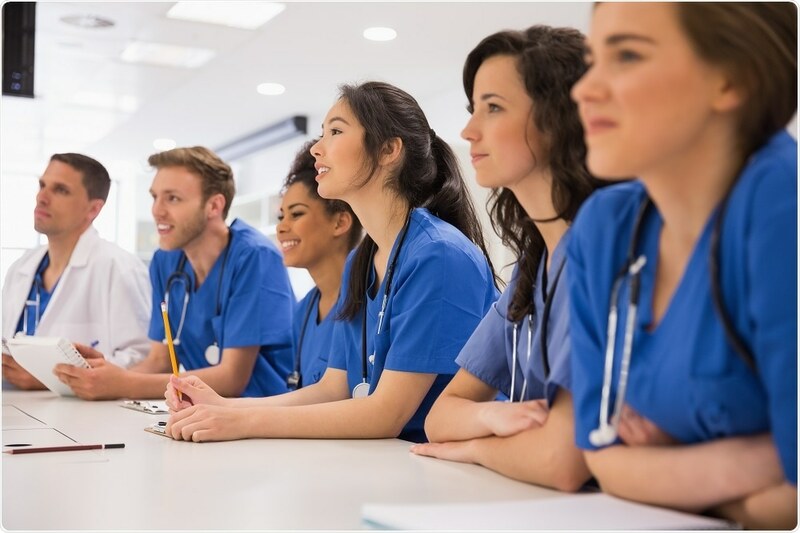 We believe that the benefits of dissection-based anatomy teaching goes way beyond imparting anatomical knowledge, and these can be related to the three key outcomes for graduates that were originally published by the General Medical Council (GMC) in 2009 in a document called “Tomorrow’s Doctors”. These are: the Doctor as Scholar and Scientist, the Doctor as a Practitioner, and the Doctor as a Professional. The Doctor as Scholar and Scientist relates to the importance of keeping up-to-date with the latest research. This is particularly related to the projects we offer. Going back to the previous example, not everybody’s nerve is in the same position, so determining “safe zones” for surgery is highly important. Donors are also used on courses to train health professionals like physiotherapists, nurses, and medical reservists in the military. I think another reason that surgeons need more practice on cadaveric specimens is because of the decrease in training time. In the past, a junior doctor’s working hours were excessive and unhealthy. When I was a surgical trainee, I used to work incredibly long hours, but we saw a lot of patients and we were able to gain lots of experience and practice. With the decrease in working hours and on-call frequency, junior doctors would see fewer cases and do not have as much time to practice new techniques. It is therefore important for them to practice on cadaveric specimens. Ensuring patient safety is also related to developing manual dexterity. Hands on dissection is a skill that needs to be developed. Rather than just moving their fingers along a touch screen, medical students are actually able to have the haptic feedback that you get by touching human tissues and learn to be meticulous in preserving important structures. Students are amazed at the 3D spatial orientation of the body. They say things like "I never realized that these structures were so close to each other, I've seen them on a computer screen and on a model, but oh, wow, this is so much more real." The Doctor as a Practitioner defines the importance of ensuring patient safety and being clinically aware of things that could go wrong. This is really important, because anatomical variation cannot be easily learnt using a model or computer simulation. Read the research paper by Cecilia and her colleagues in The Annals of The Royal College of Surgeons of England. As our medical students work on 40 different donors, they are very much aware from the start that everyone is different and variations must be taken into account. We actually published a study on locoregional variation in colonic length and mobility and its relevance to clinical practice a few years ago, using data collected from our donors. Our donors sparked enthusiasm and demanded respect. They were our first patient and forgave us any mistakes we made, only wanting to teach us more. They made us consider the reverence of human life and through their donation, taught us of the trust our patients will give us. They gave us confidence and awareness all without uttering a single word." Students cannot learn this in the same way from a model. A dissection-based course generates this kind of professionalism, and helps the students become better, holistic doctors. I like to think of it as a continuum between attachment and detachment, where the doctor has to be empathetic to the patient, but can’t become too attached. If you’re too attached to the patient, then you may start crying, for example, when explaining a diagnosis to a patient. Students can be quite apprehensive about coming into the Dissection Room, so they have to learn to be detached in order to dissect. In conclusion, dissection really gives much more than anatomical knowledge. Of course you can acquire anatomical knowledge without dissection. You can learn anatomy even just by reading a textbook. But you can't learn professionalism, manual dexterity, gain awareness of anatomical variations to ensure patient safety and contribute to scientific research, without this. Following dissection, what happens to the bodies that are donated? At the end of the academic year, the students take part in a committal service when all the donors have been placed in coffins and the students learn the names of the people they’ve worked on. It’s a very emotionally laden service where the students come to get to know the donors as they were in life. Some relatives provide biographical details about the donors which are really appreciated by our students. What are the acceptance criteria for donating your body to anatomical examination? How many bodies are accepted? Our acceptance criteria are actually quite broad. As I mentioned earlier, we try to accept as many bodies as possible, because we recognize this is what our donors wanted to do. There’s no age limit, our oldest donor to date was 104, so I guess it's easier for me to tell you the situations where we may not consider a donation. There are two main reasons why a body may not be accepted. The first is a technical issue, for example, if the person has had a post-mortem. The problem with a post-mortem is that it leaves an open wound, preventing the embalming process from working. We use a vascular embalming process, which requires the fixative to be pumped through the circulatory system, so the fluid would leak out of a donor who has undergone a post-mortem. This is also the case for donors who have an open wound, such as a colostomy bag, recent surgery where the wound has not yet healed, for example. Another technical problem is transmissible infection. I have a responsibility to protect our students and staff. Certain organisms will persist after the donor’s death. We cannot accept patients with Alzheimer’s Disease, for example, because it might be a transmissible prion disease. The second reason we may not accept a donor is due to medical problems that cause a donor to have substantially altered anatomy. For example, patients who have died of neuromuscular diseases may have contracture deformities of their limbs. These will make it difficult for students to learn normal anatomy. In addition, if patients have lost too many limbs or had too many organs removed, they may not be suitable for teaching. We are able to accept patients who have had a hysterectomy or had their gall bladders removed, as this does not alter the anatomy appreciably. We can even accept patients who have had metastatic cancer, depending on the extent of the spread. The good thing about donating your body to a medical school is that we have a 6-7 day window for collection, so it’s not as urgent as organ transplantation. Unfortunately, we often decline more than we accept. For example, in 2017 we accepted 46 donors out of a total of 186. This sounds like a lot of declines, but if you think about the numerous potential causes of death, it’s not surprising. In your experience, what responses do you see from the families of those who have donated their bodies to anatomical examination? At the end of the academic year, we have two services. One is the committal service, which is something the families can't attend because it's held in the dissection room, where entry is strictly controlled under the Human Tissue Act 2004. The committal service is a time for the students to pay their respects to the donors. Each table group write a tribute to their donor, and these tributes can then be given to the donors’ relatives. Two students give general tributes on behalf of the whole year group, and the names of the donors are read out. This is followed by another service that the relatives are invited to, called the Memorial Service. This occurs every October in the University Church (Great St. Mary's) and the services over the past two years have been taken by Dr. Rowan Williams, formerly Archbishop of Canterbury. Students and staff participate in reading poems and tributes, and talk to the families. The families love talking to the students and teaching staff. They are usually very grateful that we have been able to fulfill their relatives’ wishes, as it may also be difficult for them to come to terms with body donation. The family members often sign up to be donors themselves after the service, and will ask us to send them consent forms. Why is it important to specify anatomical examination and not “science” in your will, if you would like to donate your body to a medical school? The problem is that the Human Tissue Act 2004 is very specific about the wording. It is not enough to say that you want to donate your body to medical science. Donors have to specify anatomical examination as science is just too broad a term. This is a common problem we come across and when this happens, we have to obtain another letter from the family explaining that this was what the donor meant, which may delay the process. 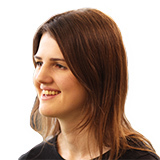 Cecilia Brassett is the current University Clinical Anatomist at Cambridge University, where she is responsible for organizing the anatomy teaching programme. She also collaborates with a number of clinicians on research projects on clinical relevant aspects of topographical anatomy. She initially qualified as a general surgeon, then resigned and trained in field linguistics to work among an ethnic minority group in China for some years before returning to the UK and working at her alma mater. She is also a Fellow of Magdalene College, Cambridge, and a Councillor of both The Anatomical Society and the British Association of Clinical Anatomists. Last year, saw the publication of The Secret Language of Anatomy, an illustrated guide to the etymology of anatomical terminology which she co-authored with two colleagues. Cambridge is one of a decreasing number of medical schools where undergraduates learn anatomy primarily through hands-on dissection, and Cecilia is grateful to all her colleagues in the Human Anatomy Teaching Group who enable this programme to continue. Of course, our programme would not be possible without the unparalleled generosity of all our donors.